THIS IS A LOVELY 1/2 BEDROOM GARDEN CONDO IN THE VERY DESIRABLE AND PRIVATE CLEARING IN THE WOODS COMPLEX. THE FORMAL DINING ROOM IN THIS HOME HAS CURRENTLY AND EASILY BEEN USED AS A SECOND BEDROOM. 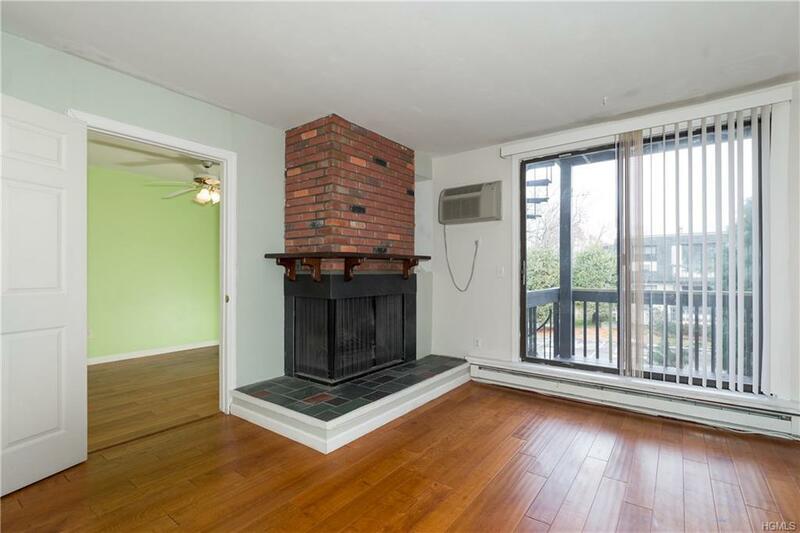 THE LIVING ROOM IS SPACIOUS AND HAS A COZY BRICK FIREPLACE AND A SLIDING GLASS DOOR TO A LOVELY DECK. THE CERAMIC TILE IS BRAND NEW AS ARE THE KITCHEN COUNTERS. THE LIVING ROOM BOASTS WOOD FLOORING ALSO UPDATED RECENTLY. THE BEDROOM IS LARGE AND THERE IS PLENTY OF STORAGE. THERE IS AN UPDATED WATER HEATER AND THE UPDATED WASHER AND DRYER IN THIS HOME ARE INCLUDED IN THE SALE. ALSO INCLUDED IS A SEPARATE STORAGE ROOM IN THE LOWER LEVEL. THERE IS A BEAUTIFUL COMMUNITY POOL AND CLUBHOUSE, TENNIS COURTS AND A PLAYGROUND. IDEALLY LOCATED FOR THE COMMUTER AND IS CLOSE TO THE RAILROAD, HIGHWAYS, MAIN ROADS, SHOPPING, PUTNAM HOSPITAL AND ALL AREA AMENITIES. THIS WELL MAINTAINED UNIT IS MOVE-IN READY! Listing courtesy of Joyce Brennan-Zolnik of Bhhs Hudson Valley Properties.